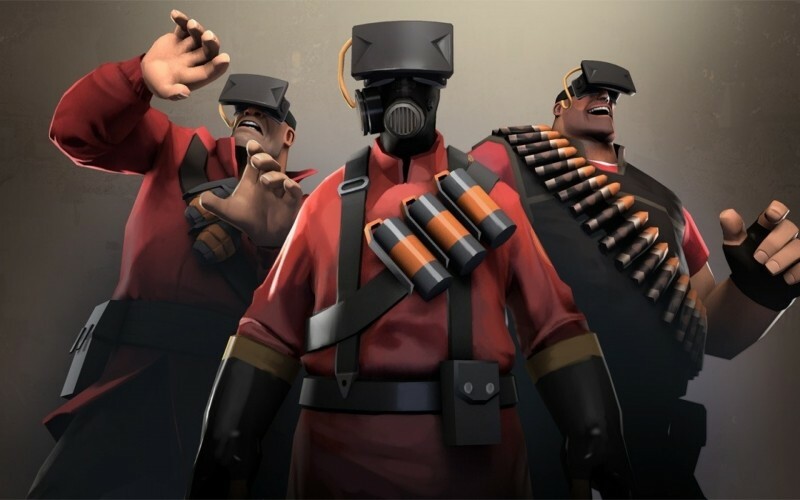 Valve has announced that at the Game Developers Conference, which is set to kick off in San Francisco next week, they will be showing off a "previously-unannounced SteamVR hardware system" alongside other Steam-related hardware. The Steam client currently supports the Oculus Rift as a virtual reality device, but it appears the company will be demonstrating a home-grown competitor at GDC. As this is merely a teaser, Valve is light on details about the SteamVR system, other than saying that developer kits will be demoed at the show and that they're looking for VR content creators for the platform. At GDC 2015, Valve is also expected to reveal the latest on their Steam Machines program, which was first announced in 2013 and has since faced multiple delays. The final version of the Steam Controller will also be seen; another piece of hardware that has been delayed and revamped since its first appearance. Valve will be showing off "new living room devices" at GDC 2015 as well. It's not clear if this refers to Steam Machines or an entirely new product category, but it's safe to say that Valve will have a large hardware presence at the show this year. The Game Developers Conference takes place between March 4th and 6th, so it won't be too far away until we hear more about SteamVR and Valve's other hardware plans.